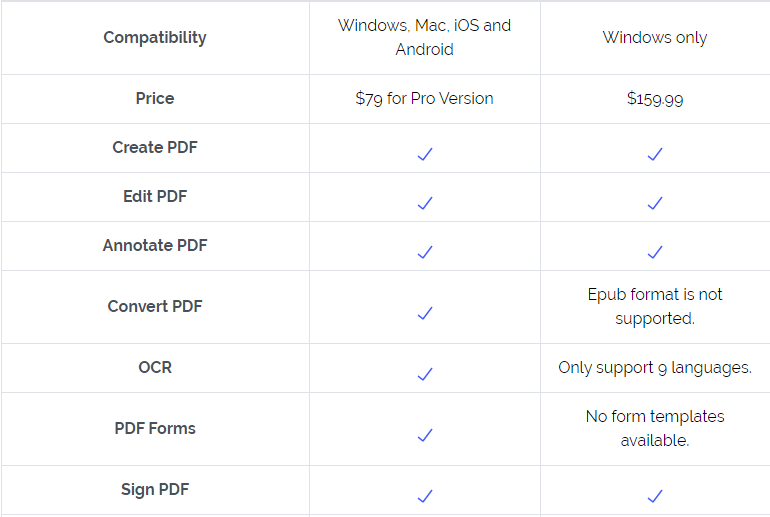 Nitro Pro is considered to be one of the most popular PDF converters due to its easy-to-use interface, flexibility, and features. Nitro Pro can convert PDF to PPT & PPTX files easily. Also with the inclusion of Nitro cloud, collaborating and converting PDF to PPT & PPTX files online is effortlessly achieved. In addition, it also allows multiple users to work on a document at the same time. Despite the multiple features and advantages offered by Nitro Pro, it does lack certain features. For instance, it does not support Mac. 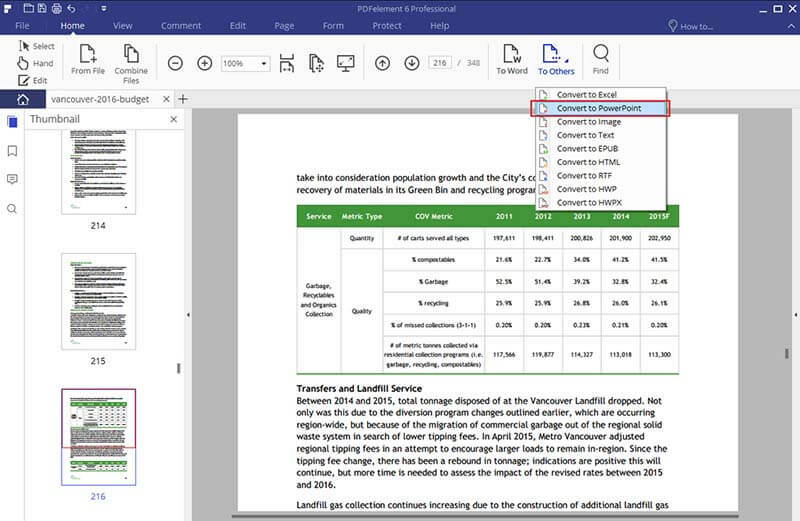 One alternative program is PDFelement, which can solve all your PDF needs. This Nitro Pro alternative can help users convert PDF to PPT, PPTX, Word, Excel, Text, Images, HTML, and more. It can also help users edit and annotate PDF files without compromising style and formatting. Of course, it also has features to sign, protect, redact, and share your PDF files. The following are steps to convert PDF to PPT/PPTX. Click "Open" on the Home window and select the PDF file you want to convert to PPT or PPTX. Under the "Home" menu, there will be multiple options. Please choose the "Convert to PowerPoint" option in the "To Others" drop down list. A dialog box will appear. Click on the button marked "Add Files". You can also select "Page Range", and "Browse" to select your desired file. Once you've selected your files, tap on the button "Convert" to begin the conversion process. You can either convert single or multiple files or selected pages from a file. 1. After opening Nitro Pro, you will see a tab labelled "Convert" under the main menu. Within this tab, you will see several conversion options like "To Word," "To Excel," "To PowerPoint," "To Other," and "To PDF/A." Click on "To PowerPoint". 2. The system will then open a dialog box. Click on the "Add Files" button. 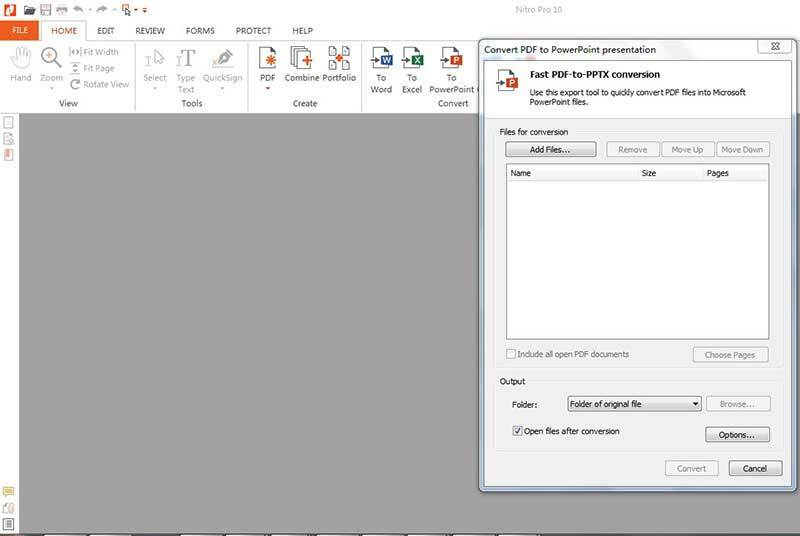 You can then choose the PDFs that you want to convert to PowerPoint. 3. 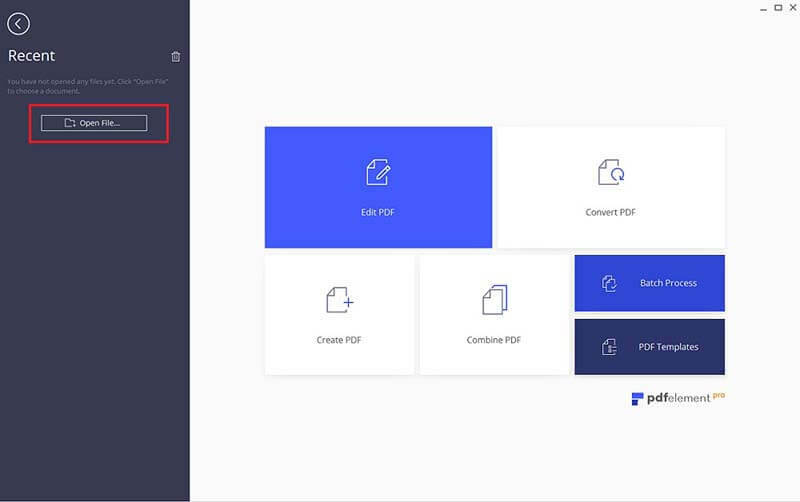 You can also select the folder where you want the converted PDF file to be saved to by clicking on the drop down marked "Folder" under the Output section. 4. Click on the "Convert" button. Now the system will open the converted PowerPoint file, and you can edit it if required.